Vivo Official Released multiple promotional videos of upcoming V15 Pro phone. 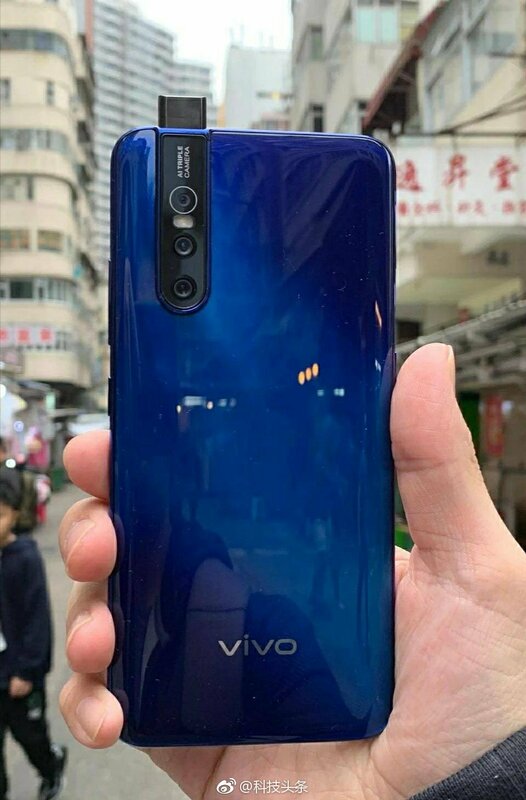 Today, weibo user posted hands on picture of Vivo V15 Pro Blue Color model. Vivo V15 Pro seems to insert a sword on the back, this eclectic design is not bad, at least feel a little cool, the back logo position is comfortable at the bottom! The front is 32 MegaPixels, the rear is 48 Megapixel three, and there is TOF, which is smaller, thinner and lighter than NEX. This machine is a bit awkward.